Draft: 2009, Seattle Mariners, 3rd rd. Kyle Duerr Seager…resides in Salisbury, NC with wife Julie, son, Crue and daughters, Audrey and Emelyn…has two brothers, Justin and Corey…Justin was a 12th round selection by the Mariners in the 2013 Draft, and Corey was a first-round pick by the Los Angeles Dodgers in 2012 (18th overall)…father, Jeff, played college baseball at Fairleigh Dickinson…graduated from Northwest Cabarrus (NC) High School in 2006… first-team High School All-American and Impact Baseball co-North Carolina Player of the Year…earned all-state and All-Charlotte Observer honors…played three seasons at the University of North Carolina, 2007-09 playing second and third base…named firstteam All-ACC in 2009 and 2nd-team All-America from the NCBWA…won the Walter Rabb Award as the Tar Heels most improved position player during his sophomore season… helped lead UNC to 3 consecutive trips to the College World Series. Totals - Hit .221 (129x583) with 62 runs, 36 doubles, 22 home runs, 78 RBI and 38 walks in 155 games with Seattle...Moving On Up - Notched his 1,078th career hit on July 8 vs. the Rockies, passing Raúl Ibañez (1,077) for 6thmost hits in club history…earlier this season, surpassed Harold Reynolds (now 9th all-time, 1,063) and Dan Wilson (now 8th all-time, 1,071) on the Mariners all-time leaderboard for career hits…finished the 2018 season with 1,124 hits (next: 5. Alvin Davis, 1,163)...1,000 - Recorded his 1,000th career hit, a single, on April 7 at Minnesota, becoming the 9th player in club history to reach that milestone... Milestone - Notched his 1,100th career hit with a 3-run home run on Aug. 18 vs. Los Angeles-NL…is 1 of 6 Mariners with at least 1,100 career hits: Ichiro Suzuki, Ken Griffey Jr., Edgar Martinez, Jay Buhner, Alvin Davis...Double Double - Entered season with 213 career doubles…with 36 in 2018, surpassed Raúl Ibañez (216 2B) and Jay Buhner (231 2B) to rank 4th in club history with 249 doubles...Double Trouble - Notched his 4th season with at least 35 doubles…his 4 seasons of 35+ doubles are 2nd-most in club history, trailing Edgar Martinez (8) while ranking ahead of Adrián Beltré (3), Ken Griffey Jr. (3), John Oleurd (3) and Alex Rodriguez (3)...Double Down - Since 2012, has recorded at least 30 doubles in 6 of 7 seasons, tied with José Altuve, Asdrúbal Cabrera, Robinson Canó, Matt Carpenter, Brian Dozier and Daniel Murphy for 2nd-most 30+ double seasons over that span...Hawt Corner - Made 150 starts at 3rd base, tops in the American League and 2nd-most in the Majors (Nolan Arenado-COL, 152)…led all 3rd basemen in double plays turned with 49, ahead of Arenado (44) and Matt Chapman-OAK (37)…ranked 2nd among American League 3rd basemen in fielding percentage with a mark of .968 (Jeimer Candelario-DET, .973)…also finished 2nd among AL 3rd basemen in assists with 325 (Chapman, 331)...Left is Right - Led the American League with 37 RBI vs. left-handed pitchers and was T2nd in the Major Leagues (also: Nolan Arenado-COL and Freddie Freeman-ATL)…since 2012, leads all players with 216 RBI against southpaws, while also ranking T4th (also: Paul Goldschmidt) with 59 home runs vs. lefties...For Openers - Made 6th career Opening Day start at 3rd base March 29 vs. Cleveland, surpassing Edgar Martinez (5) and Adrián Beltré (5) for most OD starts at 3rd base in club history… marked his 6th consecutive OD start, tying Harold Reynolds for 5th-most in club history...Good Day - Belted 2 home runs, including a grand slam, and had 5 RBI on May 10 at Toronto…marked his 7th career 2-home run game (last: 7/7/15 at NYY) and his 5th career 5-RBI game (last: 6/2/16 at SD)…his career-high is 6 RBI, set on May 26, 2015 at Tampa Bay…has 4 career grand slam home runs, T9th-most in club history (also: Bret Boone, Mike Cameron, Paul Sorrento and Ichiro Suzuki)...Boom - Slugged a game-tying 2-run home run in the 9th inning off Zach Britton on June 27 at Baltimore…was just the 2nd home run Britton had allowed to a left-handed batter since the start of the 2014 season…the Mariners went on to win 8-7 in 11 innings...Fireworks - Was a part of back-to-back home runs 3 times: July 4 vs. Los Angeles-AL (Ryon Healy), Aug. 5 vs. Toronto (Nelson Cruz) and Aug. 7 at Texas (Nelson Cruz). The Totals - Hit .249 (144x578) with 72 runs, 33 doubles, 1 triple, 27 home runs, 88 RBI and 58 walks in 154 games with the Mariners... An Even 500 - Tallied his 500th career RBI on August 18 at Tampa Bay…is the 10th player to reach that milestone with the Mariners, joining Edgar Martinez (1,261), Ken Griffey Jr. (1,216), Jay Buhner (951), Alvin Davis (667), Ichiro Suzuki (633), Raul Ibañez (612), Alex Rodriguez (595), Bret Boone (535) and Dan Wilson (508)... Double Double - Hit his 200th career double on July 18 at Houston, becoming 1 of 9 players to collect at least 200 career doubles with the Mariners…finished the season with 213 career doubles, 6th-most in club history…next on the all-time list is Raul Ibañez (216)... Iron Man - Appeared in his 1,000th career game, all with the Mariners, on October 1 at Los Angeles-AL…became the 9th player to appear in 1,000 games with Seattle, joining Edgar Martinez (2,055), Ichiro Suzuki (1,844), Ken Griffey Jr. (1,685), Jay Buhner (1,440), Dan Wilson (1,251), Alvin Davis (1,166), Harold Reynolds (1,155) and Raul Ibañez (1,110)... 20/20 - Hit 25 home runs, marking his 6th consecutive season with at least 20 home runs…is 1 of 3 Mariners with 20+ home runs in at least 6 consecutive seasons, joining Jay Buhner (7, 1991-97) and Edgar Martinez (7, 1995-2001)…Seager's 6 seasons with at least 20 home runs are 4th-most overall in club history (Ken Griffey Jr., 9; Edgar Martinez, 8 and Jay Buhner, 8)... Make It A Double - Collected his 5th season with 30+ doubles…1 of 4 Mariners with at least 5 seasons of 30+ doubles (also: Edgar Martinez, 8, Ken Griffey Jr., 5, and Raul Ibañez, 5)... Power Supply - Recorded his 5th career season with at least 30 doubles and 20 home runs, all since 2012…is one of 3 Major Leaguers with 5 seasons of 30+ doubles and 20+ home runs since 2012, joining teammate Robinson Canó and Paul Goldschmidt... Hot Corner - Ranked 3rd among Major League 3rd basemen with 153 starts at the hot corner, trailing only Nolan Arenado (156) and Manny Machado (156)…since 2012, leads MLB with 920 starts at 3rd base, ahead of Evan Longoria (789) and Chase Headley (788)... Interleague Star - In 20 games in Interleague play, hit .359 (28x78) with 11 runs, 9 doubles, 3 home runs, 19 RBI, 9 walks, a .420 on-base percentage and a .590 slugging mark…among American Leaguers in Interleague play, ranked 4th in doubles (9), 6th in hits (28), T6th in extra-base hits (12), 13th in batting (.359) and 15th in OPS (1.010)... Left-On-Left Success - Belted 8 home runs vs. left-handed pitchers, 2nd-most among left-handed batters in the American League (Mike Moustakas, 9)... Winner, Winner - Collected 13 game-winning RBI, T6th-most in the American League (also: Adam Jones, Nomar Mazara, Mike Moustakas, Albert Pujols and Jonathan Schoop)... That's a Winner - Recorded his 2nd career walk-off hit with an RBI-double in the 10th inning on June 20 vs. Detroit (also: 4/23/14 vs. HOU, 3-run home run)... Back-to-Back-to-Back Jacks - Matched his career-high by homering in 3 straight games twice: July 15-17 and September 4-6…also homered in 3 straight games, August 28-30, 2015... New Half, New Man - Hit safely in 19-of-his-first-23 games following the All-Star Break (7/14-8/6), batting .295 (26x88) with 14 runs, 10 doubles, 6 home runs, 10 RBI, 8 walks, a .374 on-base percentage, a .614 slugging mark and a .987 OPS. The Totals - Hit .266 (166x623) with 85 runs, 37 doubles, 26 home runs and 74 RBI in 161 games. ... Better With Age - Set career-bests in games (161), runs (85), hits (166), doubles (37) and home runs (26). ... Iron Man - Appeared in 161 games, 2nd-most in the Majors behind Baltimore's Manny Machado. ... Strong Finish - Hit .313 (42x134) with 24 runs, 10 doubles, 8 home runs, 25 RBI, 15 walks, a .392 on-base percentage, .567 slugging & .959 OPS (Aug. 28-end of season). ... HR Binge - Hit 9 home runs in final 36 games including 5 in 9-game span Aug. 26-Sept. 4. ... Extra! - Recorded 63 extra-base hits, 2nd on team (Nelson Cruz, 67) and 14th in A.L. ... Leftover Power - Hit 13 home runs against left-handed pitching, the most by left-handed hitter in Majors (Chris Davis & Mike Moustakas, 10)…Ken Griffey Jr. is only Mariners lefty hitter with more in a season (21 in 1998 & 1996, 16 in 1994, 14 in 1997 & 13 in 1993). ... 25+ - Hit a career-best 26 home runs, becoming the first Mariners player with consecutive 25+ home run seasons since Adrian Beltre (2006-08). ... Third Base Pop - His 26 home runs as a third baseman was 3rd in the A.L. behind Josh Donaldson (38) & Manny Machado (34) & T5th in the Majors. ... Reverse Splits - Hit .297 (68x229) with 10 doubles, 13 home runs, 35 RBI and an .835 OPS against left-handed pitching; .249 (98x394) with 27 doubles, 13 home runs, 39 RBI and a .747 OPS against right-handers. ... Like Fine Wine - Increased HR total in each of his 5 MLB seasons from 3 in 2011 (53 G), 20 in 2012 (155 G), 22 in 2013 (160 G), 25 in 2014 (159 G) and 26 in 2015 (159 G)…he is the second Mariners player to increase his home run output in each of his first 5 seasons, joining Tino Martinez (0 in 1990, 4 in 1991, 16 in 1992, 17 in 1993, 20 in 1994, 31 in 1995). ... He'll Pick You Up - Ranked 8th in the American League with 49 road RBI. ... Heart & Hustle - Mariners nominee for the Heart and Hustle Award for second straight year, as voted on by Alumni and active MLB players and is presented annually to an active player who demonstrates a passion for the game of baseball and best embodies the values, spirit and traditions of the game. ... 20x4 - Became the 7th player with at least four 20-homer seasons in a Mariners uniform (Griffey Jr. - 9, E. Martinez - 8, Buhner - 8, Ibanez - 5, A. Rodriguez - 5, Boone - 4... became the 7th player with at least 4 consecutive 20-HR seasons, joining Boone - 4, 2001-04, Rodriguez - 5, 1996-2000, Ibanez - 4, 2005-08, Buhner - 7, 1991-97, Martinez - 7, 1995-01, Griffey Jr. - 5, 1990-94 & 4 - 1996-99). ... Clutch Home Runs - Of his 26 home runs, 15 either tied the game (3) or gave Seattle the lead (12)…15 of final 21 home runs tied the game or gave Seattle the lead (May 23-end). ... Streaking - Had two season-best 12-game hitting streaks: May 14-26 (.400/18x45, 9 R, 2B, 5 HR, 10 RBI) & Aug. 28-Sept. 9 (.511/24x47, 12 R, 4 2B, 5 HR, 15 RBI). ... The Streak - Did not play on June 18, snapping a streak of 192 consecutive games played (191 starts) from May 11, 2014-June 17, 2015. ... Salami - Hit two grand slams: May 26 against Tampa Bay's Jake McGee and June 10 against Cleveland's Trevor Bauer, both on the road. Appeared in 159 games, making 158 starts (3B-157, DH-1),hitting .268 (158x590) with 71 runs, 27doubles, 4 triples, 25 home runs and 96 RBI... Led club in games (159),home runs (25), RBI (96), extra-basehits (56), T1st in slugging (.454), 2nd inat-bats (590), runs (71), hits (158), walks (52), T2nd in doubles (27) and triples (4)... Named Rawlings® Gold Glove winner for the American Leagueat third base…second 3B in club historyto win a Gold Glove (Adrian Beltre)... American League All-Star, AL Gold Glove (3B), American League Player of the Week (April 21-27 & June 23-29), MLBPAA Heart and Hustle Award (Mariners nominee)... Selected to the AL All-Star team (replaced Toronto's Edwin Encarnacion)... Two-time American League Player of the Week: April 21-27(.409/9x22, 8 R, 5 HR, 11 RBI) and June 23-29 (.583/14x24, 5 R, 3 2B, 2 HR, 8 RBI)…ﬁrstMariners player since Ken Griffey Jr. in 1998 to earn multiple Player of the Week honorsin the same season... Amongst AL third basemen, ranked 2nd in games (159), home runs (25), RBI (96), T2nd in hits (158), 3rd in slugging (.454), 4th in runs (71), 7th in doubles (27)... Finished with 25 home runs and 96 RBI…his 96 RBI were 3rd-mostin club history by a third baseman: Jim Presley, 109 in 1986 & Adrian Beltre, 98 in 2007… joins Presley in 1986 as only primary 3B to lead the Mariners in RBI…25 HR rankedT4th-most by third baseman in club history with Beltre (2006 & 2008), trailing Presley (28 in 1985 & 27 in 1986) & Beltre (26 in 2007)…Seager's .788 OPS was 6th-highest amongMLB third baseman, 3rd-best in AL behind Adrian Beltre and Josh Donaldson... Became the 15th Mariners player to record a 25 double, 25 home run, 90 RBIseason, the ﬁrst since Jose Lopez in 2009... Played the ﬁnal 126 games of the season (since May 11)…the consecutive games played streak is the 6th-longest active streak in the Majors heading into the2015 season: Pence (383), Longoria (242), Freeman (166), Escobar (162), Beltre (140)…appeared in 520 of the Mariners last 540 games (since 8/2/11)…474 games played overlast 3 seasons are tied for 4th-most in the AL(T6th in MLB)... Led Major League third basemenwith a .981 ﬁelding percentage, the bestsingle-season ﬁelding percentage by a 3B inclub history (Cirillo, .973 in 2002), and the 10th-best in American League history since 1948…recorded 3rd-highest SABR Defensive Index Rating in the AL at 17.9... Is the ﬁrst Mariners player since RaulIbañez (2005-2008) to record 20+ HR in at least 3 consecutive seasons…joins Ken Griffey Jr.and Jim Presley as the only Mariners playerswith 20+ HR in 3 of ﬁrst 4 MLB seasons (20 in '12, 22 in '13)... Hit 16 homers at Safeco Field, T7th-most in ballpark history and 53RBI ranked T11th…overall at home hit .300 (83x277) with 34 runs, 12 doubles, 1 triple, 16home runs, 53 RBI, .370 on-base percentage and a .523 slugging percentage... Tied club record with 4 extra-base hits and 2 triples June 2 at New York(AL)…went 4-for-5 with 3 runs, double, 2 triples, home run and 3 RBI…became the ﬁrstplayer to hit 2 triples and at least one homer and one double since Hal Breeden forMontreal in 1973…last AL player to do it was Hoot Evers for Detroit in 1950... Recorded 5 home runs and 11 RBI over a 4-game stretch April 23-27(.533/8x15)…only other Mariners player with as many hits, RBI and home runs over a4-game stretch was Ken Griffey Jr. (May 21-4, 1996: .556/10x18, 5 HR, 12 RBI)... Recorded season-high 9-game hitting streak Aug. 26-Sept. 4 (.314/11x35,4 runs, 1 double, 3 home runs, 6 RBI)... Hit a walk-off 3-run home run April 23 vs. Houston's Josh Fields to give Seattlea 5-3 win (snapped 8-game losing streak)... Had a pair of multi-HR games: April 23 vs. Houston (including walk-off) and April 27 vs. Texas (including go-ahead 3-run shot in 8th inning)... Mariners nominee for the Heart and Hustle Award presented annuallyto a player who demonstrates a passion for the game of baseball and best embodies thevalues, spirit and traditions of the game. Appeared in team-high 160 games, tied for 4th-most in the AL. Named the Mariners MVP by the Seattle chapter of the BBWAA for the second consecutive season. Hit career-high 22 home runs, his second consecutive season with 20+ homers (20 in '12)…first Mariners player since Raul Ibañez (2005-08) with consecutive 20+ homer seasons. Joins Ken Griffey Jr. (1990-91) and Jim Presley (1985-86) as only players in club history to record multiple 20 HR seasons in first three seasons of a career. Led all Major League third basemen in games played (160), starts (158) and innings played (1425.0). Started 106 consecutive team games May 24-Sept. 19, the longest streak in club history by a Mariners 3B…7th time in club history a player started at least 100 straight team games in a season at the same position (first since Griffey-CF & Rodriguez-SS in 1998). Current "Iron Man" streak of 115 consecutive games played (started 5/24), the 6thlongest active streak in the Majors: Prince Fielder - 505, Hunter Pence - 306, Billy Butler - 262, Joey Votto - 187, Adeiny Hechavarria - 134. Hit first career grand slam in the 14th inning June 5 vs. Chicago (AL) to tie the game at 5-5…first game-tying grand slam in extra innings in MLB history. Hit 10 of 22 home runs off left-handed pitching…tied for 2nd in the Majors for HR by LH hitters off LHP, trailing only Chris Davis (13 of 53 HR off LHP). Recorded pair of hitting streaks of 15+ games, including career-high 16-game streak April 11-27 (.390/23x59), the longest April hitting streak in club history…is the fourth player in club history with multiple hitting streaks of 15+ games in a season (last: Ichiro in 2008). Led the Majors batting .396 (38x96) in the month of July. Appeared in 155 games, making 153starts (3B-137, 2B-14, DH-2) ... Led the team in games played (155),including 106 consecutive to end theseason (since 6/4)...started each ofthe last 88 games ... Mariners nominee for the HankAaron Award ... Led team in games (155), hits (154),doubles (35), home runs (20), RBI(86), extra base hits (56) and multihitgames (42) ... Named the Mariners MVP by the Seattle chapter of the BBWAA ... Became the 12th player in club history (24th time) to record a season with at least 20 HR,35 2B and 85 RBI (first since Jose Lopez in 2009) ... Led the team with 20 home runs and 86 RBI, joining Alvin Davis as the only other Marinerwith a 20 HR-85 RBI season in either of first two MLB seasons ... Among AL third basemen (while playing 3B) ranked 3rd in RBI (81), hits (139), doubles(30), slugging (.425), 5th in home runs (18) ... Recorded 60 of his team-leading 86 RBI on the road...ranked 2nd in the AL and 5th in theMajors in road RBI...batted .293 (91x311) with 15 of his 20 HR on the road (.223/63x283,14 2B, 5 HR, 26 RBI at home) ... His 86 RBI were the most by an American League player in his age-25 season or youngerin 2012 (ranked 7th in MLB) ... Ranked 2nd in the AL with 44 2-out RBI...led AL batting .667 (8x12) with bases loaded ... Recorded pair of multi-home run games: May 2 at TB & Aug. 25 at CWS ... Career-high 10-G hitting streak Sept. 9-19 (.356/16x45, 6 2B, 2 HR, 3 RBI) ... Hit .282 (42x149) with 16 runs, 6 doubles, 3 home runs, 11 RBI, .348 OBP in his final 40games at Safeco Field; began the season hitting .157 (21x134) with 9 runs, 8 doubles, 2home runs, 15 RBI, .265 OBP in his first 39 games at Safeco Field ... Hit home runs in back-to-back games three times this season: June 19-20 at ARI, Aug.7-8 at BAL, Sept. 9 vs. OAK-Sept. 11 at TOR. Split season between AA Jackson, AAA Tacoma, and had pair of stints with Mariners, July 7-21 and Aug. 2-end of season...Appeared in 53 games for the Mariners at 3 positions: 3B - 42 G/38 GS, SS - 10 G/8 GS, 2B - 3 G/GS...Tied Mariners record with 3 doubles Aug. 24 at Cleveland (22nd player, 24th time) while going 4-for-4...only3rd rookie with 3 doubles in a game (Alvin Davis - 4/18/84 vs. OAK & Rob Johnson - 7/3/09 at BOS)...only rookie in club history to go 4-for-4 or better with at least three extra base hits in a game...Went 6-for-9 with 2 doubles, home run and 2 runs scored in Aug. 23 doubleheader at Cleveland...tied Mariners DH record with 6 hits...Tied club record with 3 consecutive 3-hit games Aug. 23 (G#1&2)-24...combined to go 10-for-13 (.769) in 3-game stretch to raise batting average from .224 to .313...Selected to Major League roster on July 6 from AAA Tacoma (post-game)...made Major League debut July 7 at LAA (started at 3B)...Recorded first ML hit July 10 at LAA (off D. Haren) to snap 0-for-10 to open career...Hit first ML home run Aug. 19 at Tampa Bay (off W. Davis)...also homered Aug. 23 at Cleveland (G#2) and Sept. 25 at Texas...Optioned to AAA Tacoma on July 21 (post-game) and brought back to Major Leagues on Aug. 2...hit .136 (3x22) in 7 games in first stint, and .275 (44x160) in 46 games during second stint...In 24 games with Tacoma, batted .387 (41x106) with 8 doubles, 2 triples, 3 home runs and 17 RBI...joined Tacoma on June 23...Opened season with AA Jackson, appearing in 66 games...hit .312 (83x266) with 25 doubles, 1 triple, 4 home runs and 37 RBI...named a Southern League All-Star. Appeared in 135 games with HighDesert...led all minor leaguers in hits (192) and runs scored (126)...won California Leaguebatting title with a .345 average, and ranked 2nd in on-base percentage (.419) and doubles(40)...most hits in the minors since Joe Thurston recorded 196 in 2002...became firstMaverick to win the CL batting title since 1996 (Mike Berry)...named to the CL Mid-Seasonand Post-Season All Star teams...recorded 58 multi-hit games, including 18 3-hit gamesand 2 season-high 4-hit games...recorded 50 hits in 28 games in the month of July (50x129,29 R, 8 2B, 2 3B, 5 HR, 23 RBI)...had career-high 32-game hitting streak June 19-July27 (.428/59x138, 37 R, 12 2B, 2 3B, 5 HR, 26 RBI), the 2nd-longest in MiLB...reachedbase safely in 40 consecutive games, June 17-Aug. 3, 2nd-longest streak in the CaliforniaLeague...had 15-game hit streak (.365/23x63, 15 R, 7 2B, 3B, 16 RBI), Aug. 21-Sept. 4. 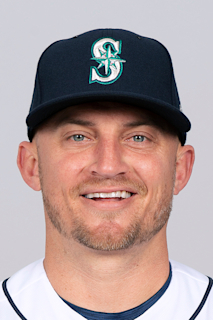 March 30, 2019 Seattle Mariners placed 3B Kyle Seager on the 60-day injured list retroactive to March 17, 2019. Left third-digit extensor hood tear. March 18, 2019 Seattle Mariners placed 3B Kyle Seager on the 10-day injured list retroactive to March 17, 2019. Recovering from left hand surgery. August 2, 2018 Seattle Mariners activated 3B Kyle Seager from the paternity list. July 30, 2018 Seattle Mariners placed 3B Kyle Seager on the paternity list. August 2, 2011 Seattle Mariners recalled 3B Kyle Seager from Tacoma Rainiers. July 21, 2011 Seattle Mariners optioned Kyle Seager to Tacoma Rainiers. July 7, 2011 Seattle Mariners selected the contract of Kyle Seager from Tacoma Rainiers. June 23, 2011 Kyle Seager assigned to Tacoma Rainiers from Jackson Generals. April 4, 2011 Kyle Seager assigned to Jackson Generals from High Desert Mavericks. March 1, 2011 IF Kyle Seager assigned to Seattle Mariners. March 4, 2010 3B Kyle Seager assigned to Seattle Mariners. September 5, 2009 Kyle Seager assigned to High Desert Mavericks from Clinton LumberKings. July 18, 2009 Kyle Seager assigned to Clinton LumberKings from AZL Mariners. July 17, 2009 3B Kyle Seager assigned to AZL Mariners from Seattle Mariners. July 15, 2009 Seattle Mariners signed Kyle Seager.